Having been in car sales myself I know what to expect, it is a cut throat industry, but that does not mean you need to walk away with a bad taste. 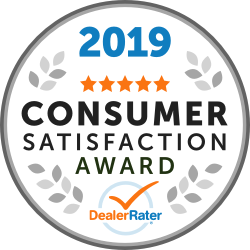 You need to buy your next vehicle at 400 Jeep Chrysler, specifically buy it from Colin K. We went to 400 to get an initial oil change on the Jeep I purchased 2 months earlier and went into the showroom as a lark. I have now purchased 2 Jeeps inside of 2 months and my sales experience at 400 was excellent, I wish I had bought the first one from them. I feel I received the respect due for a purchase of this size. I am looking forward to the service department to carry this forward until I need my next vehicle. "Stephan and Terry where extremely helpful and Friendly. " We are so incredibly happy with the service we received. We went in looking for a car not sure what we wanted or what to do. We got approached by a very easy going guy, Stephen. He made car shopping easy and less stressful giving us all our options and working hard to satisfy both of us. Once we came to a decision we got passed on to to Terri. She worked wonders for us. She is an amazing lady who is very good at her job.. they worked hard for us, made sure we got to walk our with the Jeep we wanted. They took care of everything and took all the stress off of us!! I highly recommend this place, and these two individuals. We have been telling all our friends about Terri and Stephen and how amazing they are and if they are looking to go look at 400 Chrysler!! Thank you guys, we are so happy!! "400 Chrysler is amazing to deal! " NEVER BEEN TO THIS DEALERSHIP. needed an oil change appointment for my Cherokee. Tried to get it scheduled for my day off, but was told they were too busy and they gave me late afternoon appointment that meant i needed to leave early from work. got there, stood looking around, no one approached me. I walked up to someone at a desk and clearly stated that I had "never been at this location, and where do I go" . the staff member looked up my name in the computer, but could not find my reservation, but stated that they could do my oil change as they were not busy. I waited 45MIN for a simple oil change, and was charged $140. this apparently DID NOT INCLUDE my fluids to be checked, because the next day my warning light for washer fluid came on saying I was low. WILL NOT COME BACK to this dealership , and WILL NOT RECOMMEND anyone. Hi there, Can you reach out to me regarding your experience with us. 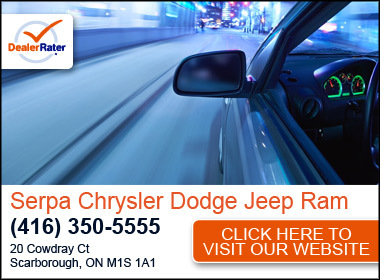 I am the General Manager, my direct line is 705-797-9662 or cfines@400chrysler.com. Thank you. Christy. "It was a refreshing pleasure to deal with 400 Chrysler staff"
The staff and customer service at 400 Chrysler went above and beyond my expectations. My sincere thanks go to Alicia, Jessica and Stephanie for their help and professionalism. Amazing service from the moment you walk through the door to the process of the paperwork till the time you are handed your new car keys. Service is amazing after the sale. Thanks to Terry Sharp and Colin Keefe for the amazing experience. The customer service at this dealership is excellent. The sales team of Colin and Alicia were professional, friendly and very knowledgeable. The vehicle was well prepared and delivered on time with a great review of all the features. On top of all that, they donated $50 from the deal Big Brother and Big Sisters! I would highly recommend this dealership. "Great first Jeep buying experience "
Colin was very knowledgeable polite. Took time to show and explain the intricate things about the car. He even delivered it to our home. Terry was just as good. Sales room was very clean. People were very professional and polite. We will deal with you again when the time comes. THANKS you made it easy and enjoyable.